A sleek industrial-styled accent chair makes a powerful statement. 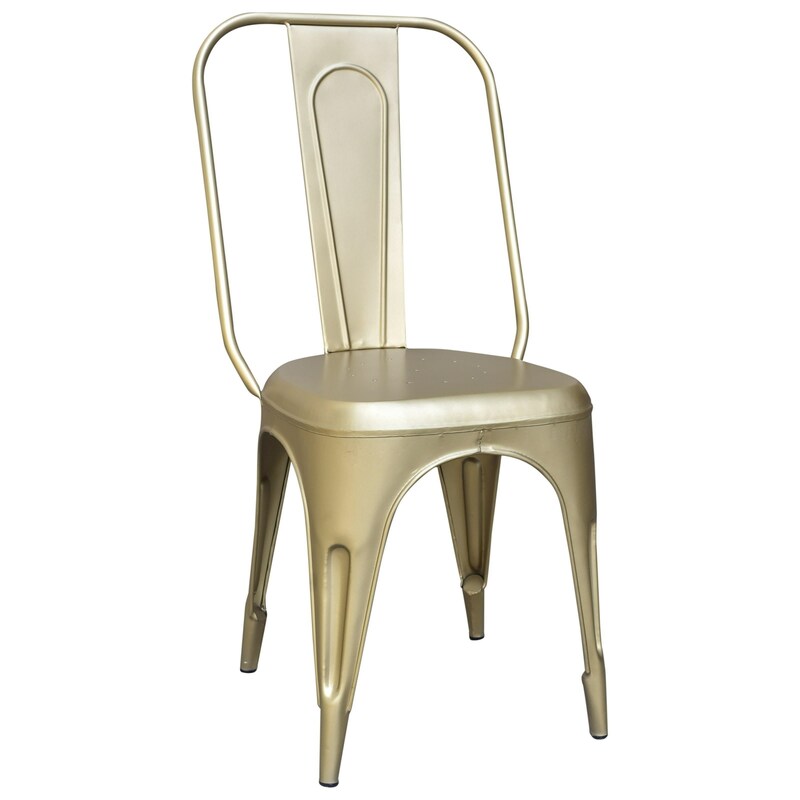 The simple design is created in a Champagne Gold Finish and sports simple curves, tapered legs, and routed detailing. This chair not only provides sturdy seating, but it becomes a sculptural statement when not in use. The Coast to Coast Accents Metal Chair by Coast to Coast Imports at Sam Levitz Furniture in the Tucson, Oro Valley, Marana, Vail, and Green Valley, AZ area. Product availability may vary. Contact us for the most current availability on this product. The Coast to Coast Accents collection is a great option if you are looking for furniture in the Tucson, Oro Valley, Marana, Vail, and Green Valley, AZ area. Browse other items in the Coast to Coast Accents collection from Sam Levitz Furniture in the Tucson, Oro Valley, Marana, Vail, and Green Valley, AZ area.